† Vitamin and Mineral content is based on average; amounts may vary. 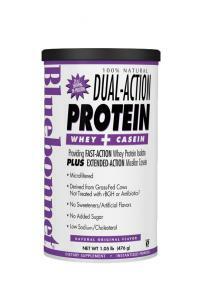 Other Ingredients: Whey protein isolate, calcium caseinate, micellar casein, natural flavors, gum acacia, MCT oil, sunflower lecithin, soy lecithin, stevia extract (Reb A)*. *All Flavors - except unsweetened Natural Original Flavor - have been sweetened with stevia.